This kitty has something to say, but when he opens his mouth? LOL just listen to this cat – he’s definitely not meowing! – What if all cats did this? haha!! Have you even wondered what cats would say if they could speak instead of meow? Well, take a look at this video of a cat “talking”…it’s just too funny! 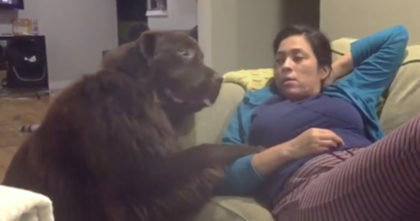 She asked her dog if he was a “bad boy today” but watch how he responds… This Is TOO MUCH. 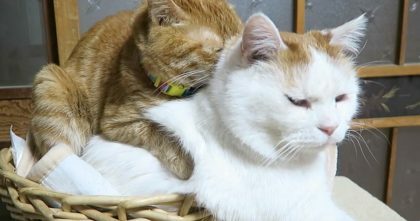 Watch What Ginger Cat Does When He Notices His Friend Sleeping, ADORABLE!! 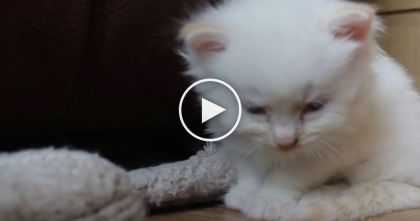 This Sweet White Kitten Just Couldn’t Resist The Urge When He Sees Humans Leg… Just Watch! Tired Kitty Can Barely Keep His Eyes Open, But Watch… He’s DESPERATELY Trying To Stay Awake, LOL!